Singapore is located in Southeast Asia and lies at the southern tip of the Malay Peninsula. Mid-year data estimates in 2014 from the Department of Statistics shows that the total population of Singapore stands at approximately 5.47 million with land area of 718.3 sq km. Even though Singapore is highly built-up, there remain more than 300 parks and 4 nature reserves in Singapore. More statistical information can be found at the Department of Statistics Singapore website (http://www.singstat.gov.sg/statistics/latest-data). Singapore’s history can be told from its early years and subsequent founding of modern Singapore all the way through different periods until Singapore’s independence and development. The most significant event in our recent history happened on 9 August 1965 when Singapore was separated from the rest of Malaysia and became a sovereign, democratic and independent nation. In 2015, Singapore will be celebrating our 50th year of independence. Detailed information about the history of Singapore can be found at the official source of information on Singapore (http://app.singapore.sg/about-singapore/history/early-history) and its related sections. Singapore is a Republic with a parliamentary system of government. The Westminster model was adopted after Singapore gained independence. There are three branches of the Government of Singapore: Executive, Legislative and the Judiciary. Detailed information can be found at the official source of information on Singapore (http://app.singapore.sg/about-singapore/government). In 1884, the Boundaries and Survey Maps Act was enacted. This Act allows for a complete resurvey of all the holdings, which commenced in 1902. In this exercise, all previous records were examined and officers were sent to the field to determine the boundaries of occupation between adjoining owners. When an agreement was reached, boundary points were fixed. From 1920, trigonometric survey was re-observed and standard traverses were run and closed to the trigonometric framework. Cadastral surveys of lots from 1925 onwards were connected to the standard traverses. A plan was drawn for each survey, indexed and filed as Certified Plan. When the system of registration of titles was introduced to Singapore, one of the factors for the smooth conversion of titles to the Torrens system was that the major part of Singapore had been very accurately surveyed. All that was required was to identify the owners of the surveyed lots. Strata survey started in 1964. The aim is to support the issue of strata titles by the Registrar of Titles. Singapore Land Authority (SLA) is responsible for land title registration and the approval of cadastral survey plans. SLA was formed on 1 June 2001 when the Land Office, Singapore Land Registry, Survey Department and Land Systems Support Unit were merged. SLA is a Statutory Board under the Ministry of Law. For land title registration, normally lawyers will carry out the work on behalf of their clients. The activities could include conducting various searches, lodging of caveats with SLA, preparing the sales and purchase agreement, lodging the transfer at SLA or filing a transfer notice with the Inland Revenue Authority of Singapore when a property is being sold or transferred. Cadastral survey is carried out by practicing Registered Surveyors. The processes could include requesting for new lot numbers, activating the new lot numbers so that they can be used in transactions, conducting the cadastral survey in the field and finally preparing the plan showing the cadastral survey that needs to be submitted to SLA for approval. In Singapore, there is an institute known as the Singapore Institute of Surveyors and Valuers (SISV), where Land Surveyors is a division of SISV. From the SISV website, it shows that there are about 100 members in Land Surveyors Division of SISV. The Land Surveyors Board is in charge of the registration of surveyors and the issue of practicing certificates. Detailed information can be found at the Land Surveyors Board website (https://www.mlaw.gov.sg/content/lsb/en.html) regarding the requirements necessary for registration, including the professional qualifications needed, practical work, examination and interview involved. There is currently no university in Singapore offering undergraduate degrees for land surveying in Singapore. A person who wants to pursue a degree in geomatics or land surveying has to pursue his studies overseas. However our local Building Construction Authority Academy is running a Diploma in Geospatial Information Technology. It is worth noting that in the past Singapore Polytechnic used to run a diploma course in Land Surveying until 1988. The main purpose of cadastral surveying in Singapore is to facilitate land title registration. However, it has increased in scope over the years and cadastral boundaries are now also used extensively by other public agencies for their operational needs eg. land planning. Singapore is now fully under the co-ordinated cadastre system where land property boundaries are defined by co-ordinates. The previous system is loosely referred to as the “Cassini System”, where land boundaries are defined by the bearings and distance of a boundary line. The move towards the co-ordinated cadastre is not easy, and involved large amounts of manpower, cost and dedication. Eventually, Singapore succeeded in becoming what we believe is the first in the world to have a fully completed co-ordinate cadastre system for the entire country back then. A ‘lot’ is the fundamental spatial unit in the cadastre. It can be a Land, Strata or Accessory lot. All lots are identified by a unique lot number. Singapore is divided into 64 survey districts and the lot number will identify the survey district in which the lot number is located. 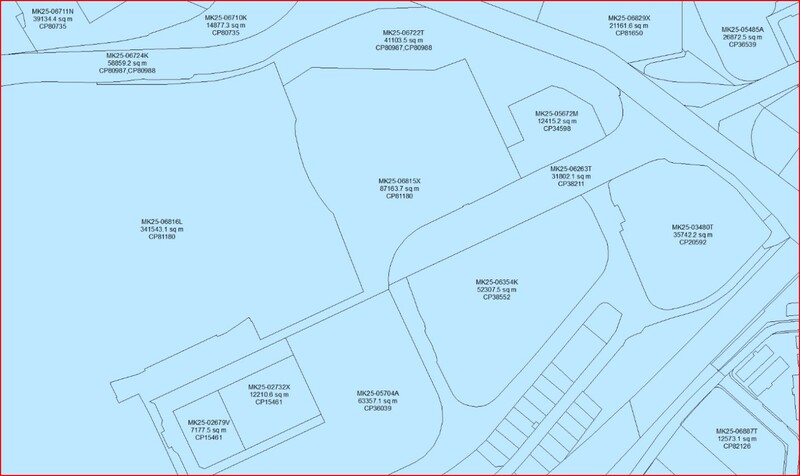 The strata lot might be residing on 1 or more land lots. The final results of the survey are shown on the survey plan signed by the Registered Surveyor who has conducted the survey. There are 3 main databases in SLA that deal with survey information. It consists of the Lot Information Management System, a Consolidated GIS system, and an electronic job workflow system that allows Registered Surveyors to submit their jobs online and for SLA to process the jobs in a fully paper-less environment. Information that are updated into the databases include the creation date of the lot, the plans associated with the lots, the area of the lot as well as the history of the lot which can all be easily retrieved from the system. The approved plans are stored digitally in a central location and the public can purchase them through the website known as “INLIS” (https://www.inlis.gov.sg/layout/homepage.aspx). The cadastral map consists of land lot polygons that are approved after the processing of plans submitted by the Registered Surveyor. It contains information such as the lot number, plan number and lot area. Figure 1: Example of a cadastral map in Singapore. The cadastral layer is one of the most in-demand dataset required by public agencies. It is updated daily and shared with all public agencies through a common online platform. Examples of its use include planning of road lines, development planning, land management etc. There is also a version of the cadastral map that can be accessed freely by the public through the web portal known as “OneMap” (http://www.onemap.sg/index.html). 2) Errors encountered in job submission. 3) Depicting 3D in the cadastre. SLA is currently in the midst of developing a new system. The objective of the new system is to move SLA into the Smart Cadastre domain, where there is high automation, high productivity, high data integrity which is all in 3D. SLA constantly works with our customers to improve the processes that matter to them. Regular sessions are held with them to understand their problems. Initiatives are then rolled out to address their concerns so that SLA is able to keep up with the changing needs of the industry. A notable initiative was the workshops conducted by SLA for the staff of Registered Surveyors to brief them on the common errors encountered to help make them more aware of the mistakes that need to be avoided during a job submission.